Throughout 20 years of travelling the globe as a wildlife cameraman and presenter, there have been two constants in Gordon Buchanan’s professional life: an endless curiosity about the natural world – and Scotch whisky. As the BBC prepares to screen a number of his programmes over the festive period, he speaks to Dave Broom. As a whisky story, that’s up with the best of them. 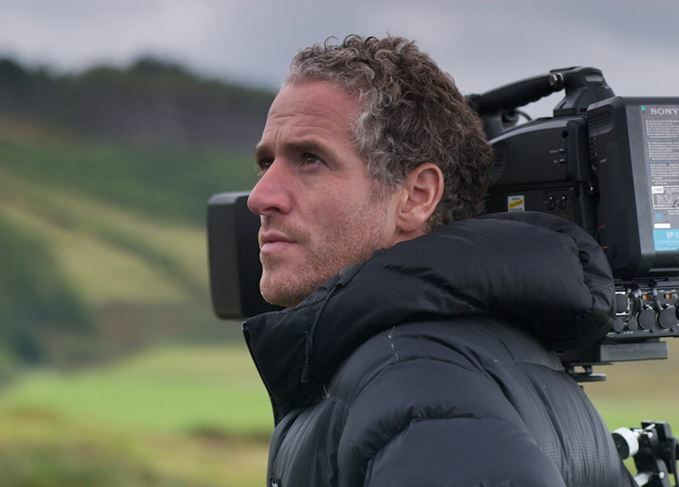 It has all the trappings of a tall tale, unless it’s being told to you (over a cup of tea) in a Glasgow bar by award-winning wildlife presenter/cameraman Gordon Buchanan. Over 20 years, Buchanan has travelled the world, filming in remote areas. Most recently, his BBC television series …Family and Me, which puts him close – sometimes alarmingly so – to animals, has made him a household name. This Christmas, there’s a Buchanan-fest on the BBC, with repeats of Gorilla Family and Me, and Tribes, Predators and Me; and two new programmes: Elephant Family and Me and Life in the Snow. Question is, how does a boy from Mull end up being inside a pod while being gnawed by a polar bear (one of the most alarming pieces of footage I’ve ever seen), or with an Arctic wolf sniffing his boots? It’s hardly your average career path. Buchanan spent five years with Gordon, including a legendary trip to Brazil where they ate roasted tarantula (washed down with Champagne) in an Amazonian Indian funeral cave. Freelance since 1995, it was only when he signed up for the first of the Lost Land series and found that it involved having to speak that he took presenting seriously. ‘I realised that this is a skill you can develop and is a profession in which you can hone your skills at becoming a better communicator. Armed with your bottle of whisky…? Although his mother and stepfather worked at Tobermory distillery, as did his brother Stewart (now global brand ambassador for BenRiach), his whisky tastes are catholic. ‘On a trip I’ll buy a bottle to share and one for special occasions,’ he says. These expeditions are often solo, or with a small team. Are you a loner? It must also be important to be patient? He pauses. ‘It’s not even that. It’s being optimistic. Most patient people will lose their patience because it has a time limit. You can sit optimistically for a far longer period of time! When did you stop being selfish? Perhaps it is due to the solo nature of his work, but his films are not burdened by artifice. Instead, they establish a direct and often visceral link between you; the man speaking; and the animal. You are no longer one step removed – a problem with many wildlife documentaries – but are involved. His recent series Into The Wild with Gordon Buchanan also had that quality. On paper, it looked trite: taking a celebrity into the British countryside to look for animals. Instead, the films were compelling because the guests, often far out of their comfort zones, were enthralled, and opened up about themselves. Whisky seemed to play a significant part in most episodes. He laughs. And how is his optimism with regard to the environmental situation? ‘There has to be a global shift to re-engage with the natural world. Caring isn’t enough. Take elephants. They are number one seed dispenser across Africa. If you remove elephants, all the other animals will go as well, and it will be a desert. We have to engage with it and everyone has to do all they can. ‘We don’t use the land in the same way as we once did, so if you want to do the most amount of good for the most people and most amount of species, then rewilding is the only thing to do, though the politics is difficult. It seems like you’ve rediscovered your home? It’s what he does as well: bringing people together, recreating that space where they can marvel, think and listen. You can catch Elephant Family and Me on BBC1 on 26 December (8pm) and 27 December (8:30pm); Life in the Snow is on BBC1 on 29 December at 8pm. There will be repeats of Gorilla Family and Me on 24 December, and Tribes, Predators and Me on 27-29 December. A wide-ranging and frank conversation with one of the UK’s best-selling crime novelists. The Amber Light will explore Scottish culture and history through the lens of whisky. The organisation will celebrate the late Scottish author and his love of single malt.